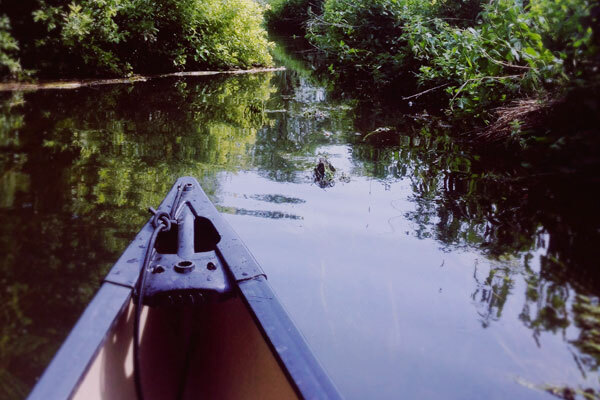 Canoeing and paddle boarding are the perfect way to get close to the wildlife and environment of the Broads, as you can explore parts of this superb waterland that other craft can’t get to quite as easily. Whispering Reeds is under a mile from the campsite and where you can hire all your canoe and paddle board equipment, situated next to the Pleasure Boat Inn, simply look for a big green boat shed with a blue flag on the roof and you are there! There is a designated area where beginners can learn the ropes before heading off onto the largest of the Norfolk Broads. As Hickling is a national nature reserve with an amazing abundance of wildlife, we are one of the few places where you might see bittern, swallowtail butterflies and otter all in a day’s paddle. This entry was posted on June 15, 2016 by jasonhubbard. Tom and Jo are delighted to welcome you to what they describe as their ‘little piece of paradise’. As a local couple who absolutely love Norfolk and camping, they decided to combine the two! Sat nav notice: We are situated on Heath Road, 200 yards before the Horse Riding school, please do not turn into Meadow Farm Holidays.